Ry Cooder had always wanted to make an album featuring the hugely talented musicians who’d been making Cuban music back in the Fifties and Sixties. Finding himself heading to Havana, Cuba, Cooder was surprised to find as well that most of those musicians were still alive, and better yet, still performing the songs that had made them famous (albeit in Cuba alone). Bringing many of them together for the first time in decades, Cooder began recording his album, and was amazed at the quality of their playing after so long. Along with making an album, Cooder had an idea that they should all play together at a handful of concerts. 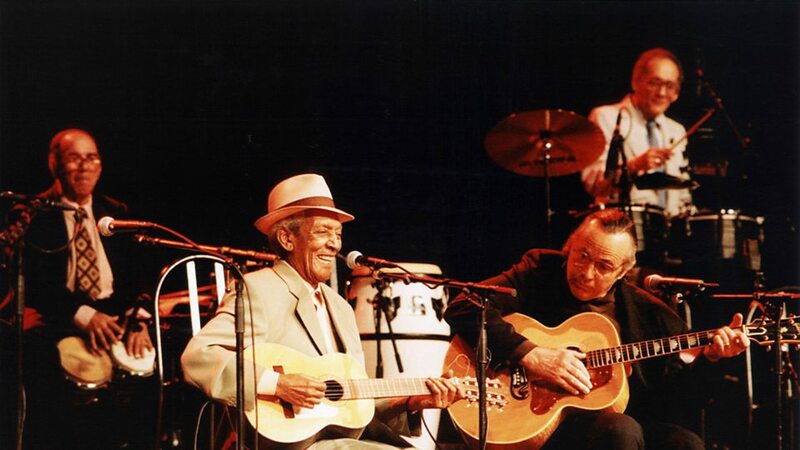 And so, in April 1988, the Buena Vista Social Club played two nights in Amsterdam, and then in July, a single night at New York’s famed Carnegie Hall. Wim Wenders’ movie shows how Cooder assembled this amazing group, the group’s commitment to the music, and the pleasure they gained from playing live to non-Cuban audiences, and all while managing to retain (with apparent ease) a keen sense of their identity as Cubans. 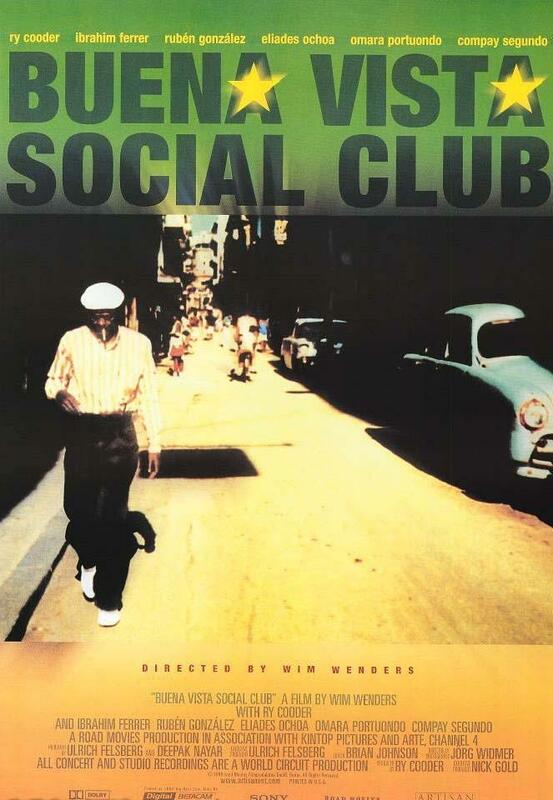 The movie that made the rest of the world sit up and take notice of Cuban music, Buena Vista Social Club is a pure blast of joy from beginning to end. Seeing performers like Segundo (in his early Nineties at the time of the movie’s release) still playing to such a high standard, still enjoying the music they’re playing, and still able to find new ways of interpreting the songs they’ve all known for a lifetime, is both inspiring and moving in equal measure. Their enthusiasm is infectious. When Ry Cooder made the decision to head down to Cuba with his son, Joachim, to make an album of Cuban music featuring the very musicians who’d made danzón (the official musical genre and dance of Cuba) so popular in their own country, he couldn’t have known just how much of an impact the resulting album, and this movie about the making of said album, would have worldwide. The music itself is beautiful, full of emotion and played with a delicacy and finesse that pushes it toward being simply sublime. The live performance sections of the movie are as joyous as you could possibly hope for. Wenders (who’s made more than a few documentaries over the years) highlights the relish shown by the singers and musicians who bring this music to life, capturing through performances and often surprisingly candid interviews, a sense of the music’s importance in their lives, and it’s importance in Cuban culture in general. It’s a celebration of their lives and the musical heritage that has inspired them, and which continues to do so after fifty, sixty, seventy or more years of living and breathing danzón – and achieving the natural high that keeps them going, keeps them reaching for improvement and mastery over the songs they know so well and love so much. There’s pride there too, in each other, and in their country, a pride that finds meaningful expression in songs such as Chan Chan and Candela. 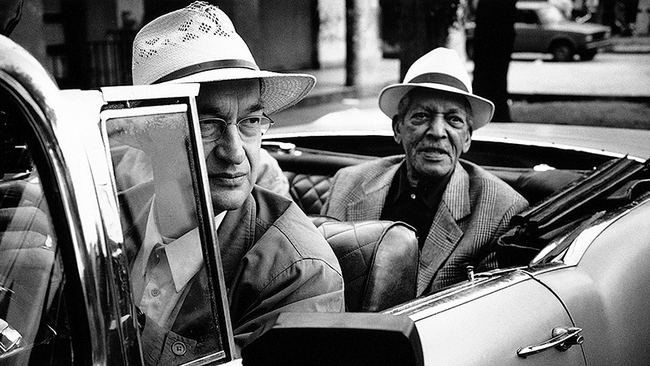 In the end, it’s unsurprising that the music of the Buena Vista Social Club crosses so many international and cultural boundaries; these are songs from the heart, sung and played by artists whose only ambition is to pass on as much of the joy and fervour they themselves feel. Wenders rightly focuses on the Cubans – Cooder barely gets a look-in by comparison – and in doing so, he makes us all wish we had that same attachment to music that the likes of González and Ochoa and Portuondo have. Rating: 9/10 – an uplifting and inspiring documentary, Buena Vista Social Club is difficult to ignore, or overlook thanks to the sheer exuberance of the music, and the passionate interpretations of the songs by such a talented group of musicians; Cooder’s initial idea proved to be a godsend, and even now, it remains a marvelous, delightful examination of a marvelous, delightful, musically magical moment in time.